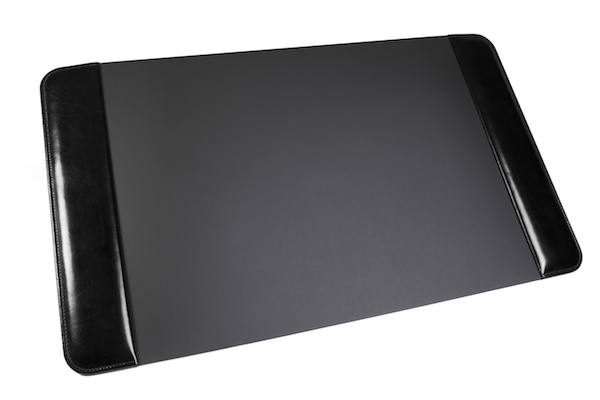 Home // Desk Pad 20" X 34"
20.0" x 34.0" x 1/2"
Let your office visitors know that you are serious about doing your job (aka, desk blotter) – and have great taste in accessories. 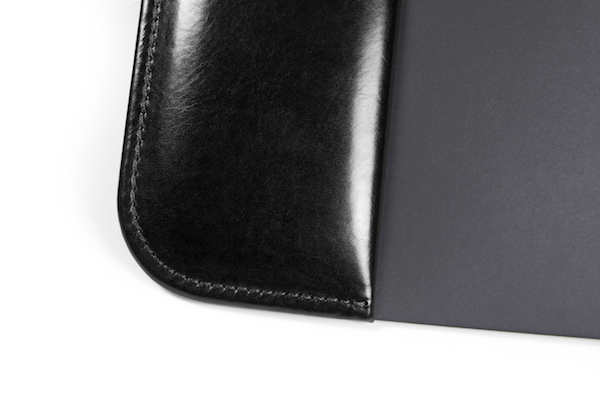 Our Executive Leather Desk Pad isn't for just the big-wigs, it's just larger than our 723 version. Crafted in our signature hand-stained Old Leather and real battleship linoleum. It provides a writing surface that pens dream about (more uniform and comfortable than the the top of your desk), while also protecting your desk from any further scratches or dents. It is also the perfect home for a computer or laptop. Impress your clients, attract a bit of attention and make your desk happy too. Incredible craftsmanship, description does not do it justice, and elegant. Wonderful addition to my office. I have been looking for one of these for years. This one is exceptional. A must have for any desk where writing/signing is a significant part our your daily regimen. This is a beautiful desk pad. Worth the money. First class all the way. Just what I needed for home office. Simple and elegant. 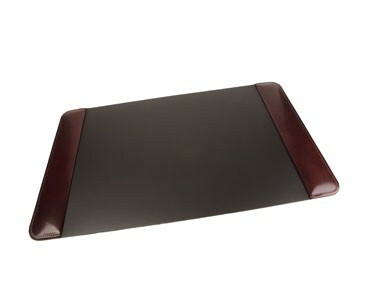 The classic leather desk pad is of beautiful design, quality and texture. The cognac color is rich and the monogramming tasteful in appearance. Thank you! !